I had to think hard and long about writing a Travel Log for a major metropolitan area, sort of goes against the grain of what Western Traveler is all about, or is it? The more I thought about it, the more I decided it was okay. Most of my western adventures have begun by landing in Salt Lake and heading out from there. It makes the perfect base of operation for anyone wanting to explore the West. It’s relatively close to the mountains or northern Utah, the canyons of southeast Utah, Colorado, Wyoming and Idaho. This city of over a million inhabitants sits in what was a massive body of water called the Bonneville Sea. It is fringed on the east by the Wasatch Mountains (one of my favorite playgrounds) and by the Great Salt Lake on the west. The lake is home to some interesting islands where one can go and have a great time as well (see Antelope Island travel log). The downtown area offers a tremendous selection of places worth investigating. Without a doubt my favorite is the Clark Planetarium, featuring an IMAX theater and Sky Dome presenting numerous programs, both on massive screens with surround sound. Their programming selection is the best I’ve ever seen, anywhere. Many of their offerings are in 3-D too. Their gift shop is a site to see, with an amazing array of strange gifts for the most discriminating patron. Any mention of downtown sites wouldn’t be complete without mentioning the EnergySolutions Arena, home of the Utah Jazz and much more. If you visit during the “growing season” you’ll need to head to Pioneer Park for one of the best Farmer’s Markets around. You’ll find fresh produce, international food prepared on the spot, live music, artisans and much more. 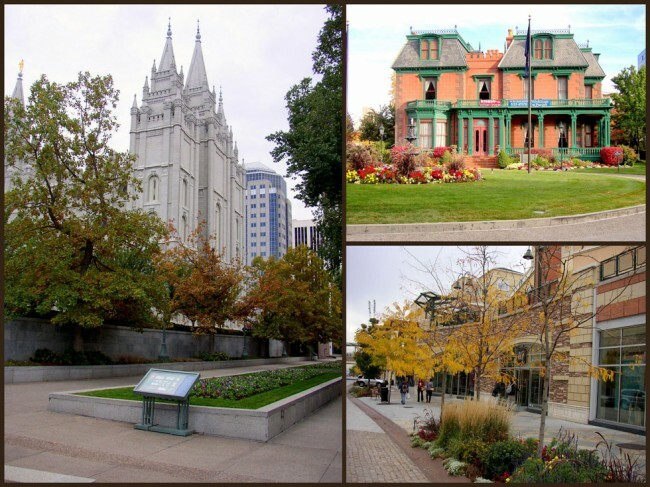 No visit to Salt Lake City is complete without stopping by Temple Square, home of the Mormon Tabernacle Choir and headquarters for the Church of Latter Day Saints. If you’re lucky, you’ll arrive at the right time to hear a demonstration of their world-famous 12,000 pipe organ. The shopper will find much to enjoy here too; most of it inside a large shopping complex called The Gateway. 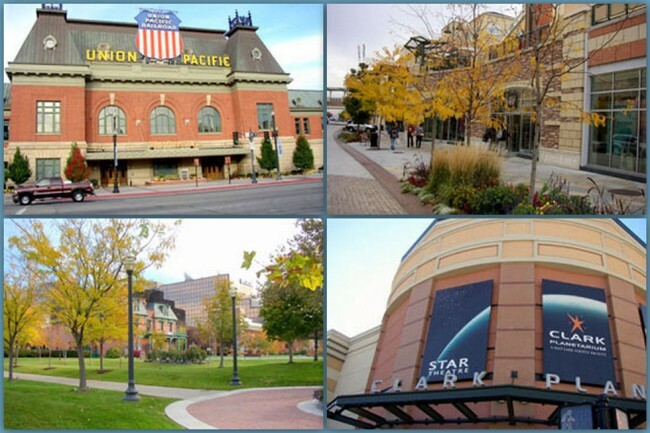 Here, you’ll find specialty shops, movie theaters, restaurants and name brand stores. If history is your thing, make sure to drop by the Pioneer Memorial Museum, the Denver & Rio Grande Railroad Museum, the Beehive House (former home of Mormon leader Brigham Young), This is the Place Historic Village and the Museum of Natural History. Last and certainly not least is the fact that you’re close to some of the most famous and fabulous ski resorts in North America. A short 45-minute drive puts you on the slopes of Snowbird, Alta, Solitude and Brighton. 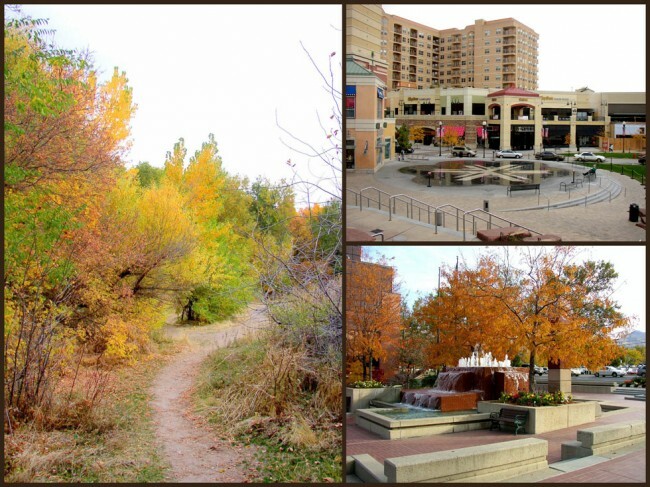 Utah powder is considered some of the best in the world, attracting celebrities from all over. Don’t be surprised if you run into Hollywood’s best here.